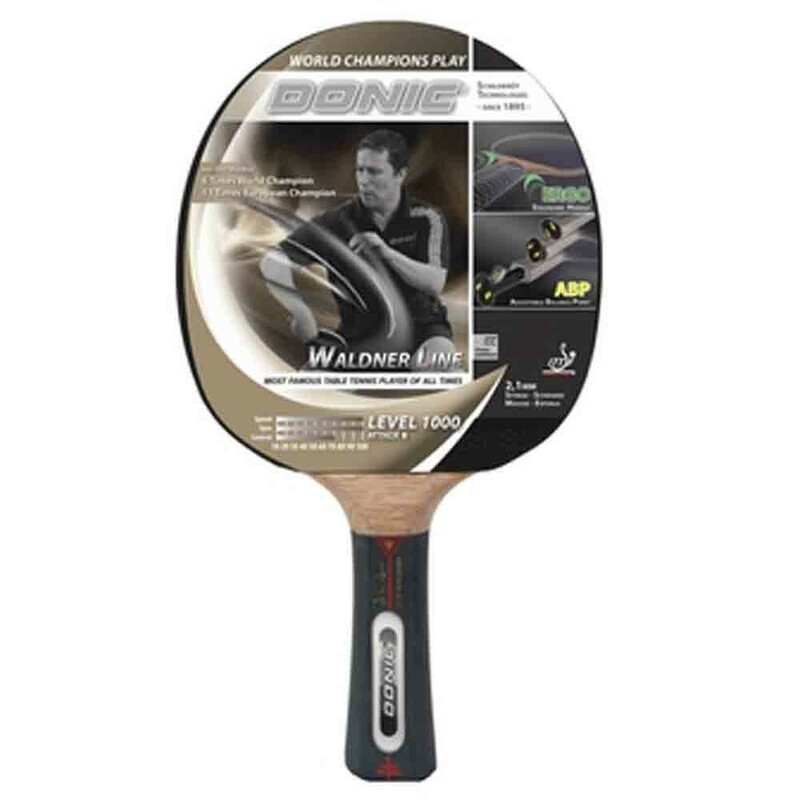 This Donic Waldner 1000 TT Bat is top of the line Carbon racket allows sophisticated play of all play techniques. Get the most speed and spin for your offensive game. The Waldner 1000 racket comes with two layers of carbon which are super effective. You can choose to adjust the balance point of the racket according to what suits you to ensure that it is attuned to the way you play. - The handle of the racket is designed to give you a good, firm hold on it. - The sponge underneath the rubber has a thickness of 2.1 mm and ensures that you have a good balance of spin, speed and control.